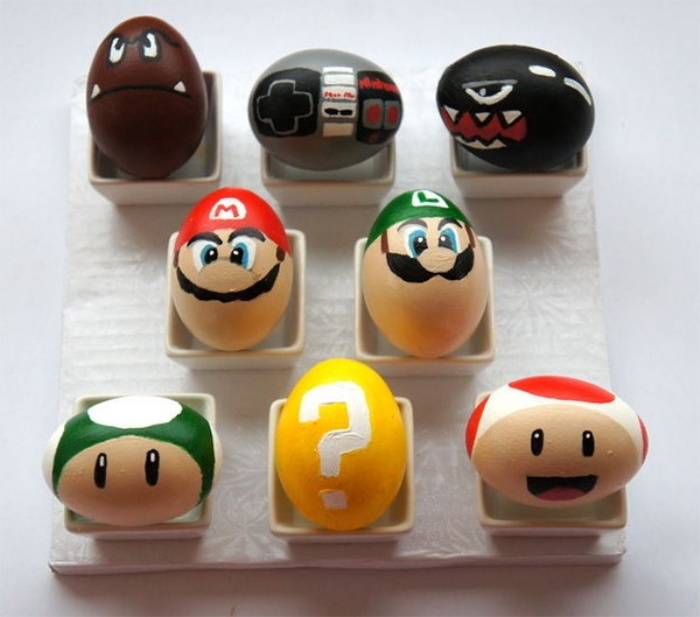 All Game for Easter: Super Mario Nintendo Easter Eggs | OhGizmo! By Hazel Chua on 03/20/13 • Leave a comment! Easter is fast approaching. Religious significance aside, it’s time to break out your brushes and pots of paint once more because it’s time to design those Easter eggs! Instructables user Imnopeas got a headstart on everyone else by doing her eggs early this year for her son, and they turned out great. 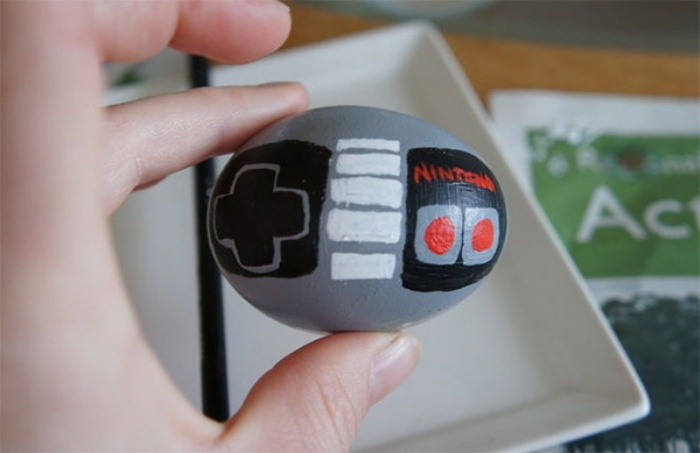 I think it’s safe to assume that her kid’s a gamer from the looks of these eggs. In case you’re out of ideas and want to copy her idea, you’re in luck because she’s shared the details of the project on Instructables.